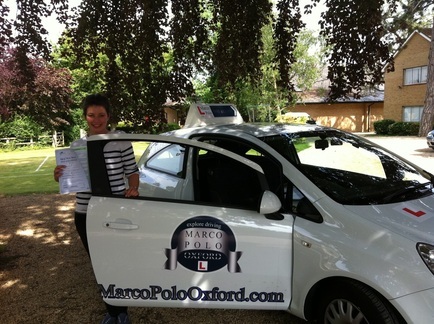 At Marco Polo Oxford Driving school we specialise in intensive driving courses and Crash Courses in Oxford. In our opinion, intensive driving courses are by far the best way to learn to drive. Professional drivers such as the police, bus drivers and even the driving examiner that will take you on your test, learned to drive this way. It has been proven by the UK department of transport that an average pupil takes around 14 months to be ready for their test when having 1-2 hours tuition per week. This obviously is the most time consuming and expensive route to passing your test. It has been proven that in just one week it is possible to learn everything you need to pass the test. Choosing the Crash Intensive Driving Course that's right for you ? We have a course available for all levels. Whether you have taken a driving test before or you are a complete beginner, our instructors are flexible to your needs. Please contact us for more information on the courses we provide, we are just a phone call away. You can also book an assessment lesson to determine your level of driving and allow us to suggest a suitable course based on your driving ability. Crash Course Assessment Lesson Now Only £65! At Marco Polo Oxford Driving School we offer an Assessment Lesson so you can decide if our methods are for you. It's our chance to prove to you why so many of our students pass first time and in such a short space of time. It's also your chance to meet with one of us and ask any questions you may have about the intensive course . Get in touch with us and we will confirm your assessment driving lesson as soon as one of our instructors is available. Step 1 - Book your Assessment Lesson Now with a local driving instructor. to test your ability and decide on the course that suits you best. Step 2 - Start your course and have fun. Step 3 - Pass your test and enjoy your new found freedom! Ready to book your Crash Driving Course? With a only £320 deposit you can book your course today. We will book your driving test immediately and start the process of getting you out and driving in the fastest possible time. Hundreds of new pupils have already been helped to pass their test by our qualified instructors. We teach our pupils everything they need to know in order to be able to pass their test in the quickest possible time and on their first try. We also offer Intensive Driving Courses that allow you to speed up your learning and decrease the cost of learning to drive. It has been known for many pupils to pass first time after only 7 days. You could do the same by booking your Assessment Lesson Now ! Weekly lessons are also available and can be booked in blocks of 2 and 3 hours.